Greece tops the list of the most romantic escapes in the world. Whether you are celebrating a very important milestone, that is your wedding anniversary or planning your honeymoon — can you think of a better and more romantic destination than Greece? Over the years Santorini and Mykonos have been stealing the spotlight as the best Greek honeymoon destinations. 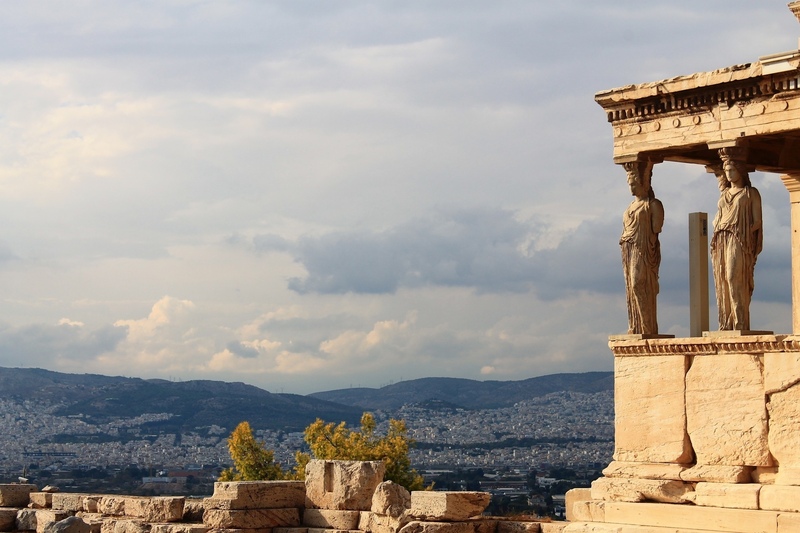 Lately, the country’s capital — Athens has been making headlines as the best honeymoon and romantic getaway destination in 2018. 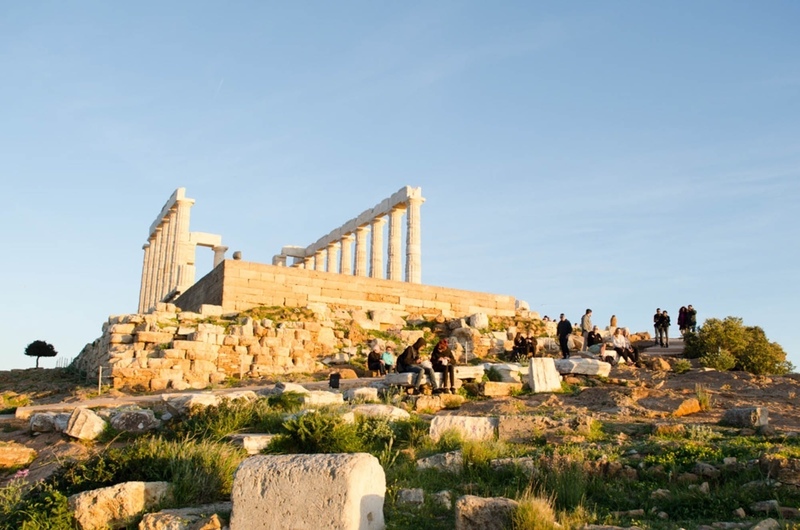 Athens continues to experience record-breaking visitor numbers, thanks to its fascinating history, elevated art-scene, breathtaking scenery, renowned nightlife and a dreamy dining and wining scene. To help you plan your romantic escapes in Athens, read on for our recommendations of the top things to see and do. Athens’ dining scene boasts a rich collection of notable rooftop bars and restaurants which offer spectacular views of the Acropolis. At our elegant ‘POINT a’ bar and restaurant located of the 5th floor of the Herodion Hotel guests may enjoy unparalleled views of the Acropolis and the Acropolis Museum complemented by sensational cocktails and renowned Mediterranean flavors. Explore the countless romantic places Athens has to offer, some of which are located at a walking distance from Philippos Hotel. 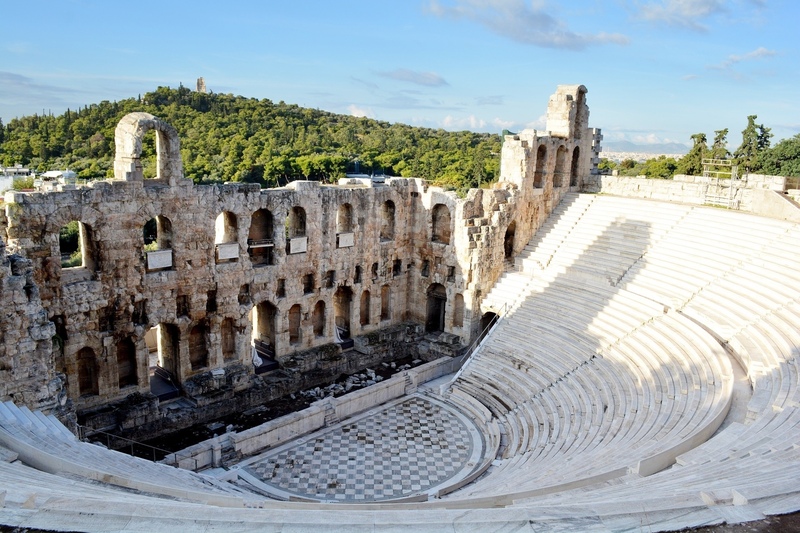 Plan a glorious cultural evening at the ancient Odeon of Herodes Atticus theatre, one of the oldest and best open-air theatres in the world. The Athens and Epidaurus Festival 2018 promises another exceptional Greek summer program full of music, theatre, dance and visual arts. One of the highlights of the summer program is Sting’s performance at Odeon of Herodes Atticus theatre which is scheduled for June. Other notable performances not to be missed are NABUCCO by Giuseppe Verdi (several performances in June), CARMEN by Georges Bizet (several performances in July) and Nana Mouskouri - I Will Tell You a Story. For the full summer program click here. In the sixties, Athens was home to hundreds of open-air cinemas showing classic Hollywood movies projected on big screens set up in the local neighborhoods, where Athenians would enjoy a beautiful summer evening under the starry sky. Today, visitors may enjoy a memorable evening in one of the few remaining historical cinemas which offer this unique social experience. 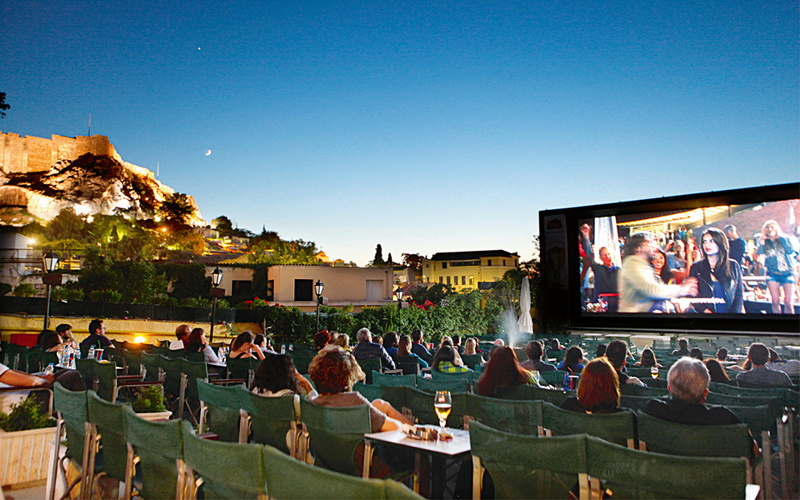 At Cine Paris which is set in a roof garden above Philomousou Etairias Square, one of the oldest quarters of Athens — visitors can enjoy contemporary award-winning movies, as well as the classics, in gorgeous surroundings with breathtaking views of the Acropolis. Classic movie and Hitchcock fans will be treated to a unique under the stars movie experience at Cine Thiseio, one of the oldest open-air cinemas built in 1935. Set in a charming garden with perfect views of the Acropolis. The cinema is usually open from April to October. What was once Athens’ neglected neighborhood has become one of the city’s trendiest districts — a haven for art and culture lovers. 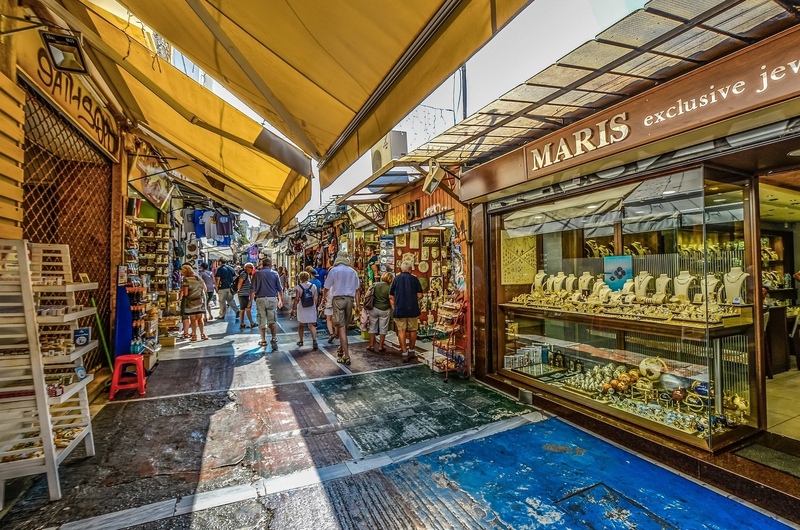 This lively Athenian neighborhood hosts numerous all-year round concerts and exhibitions. 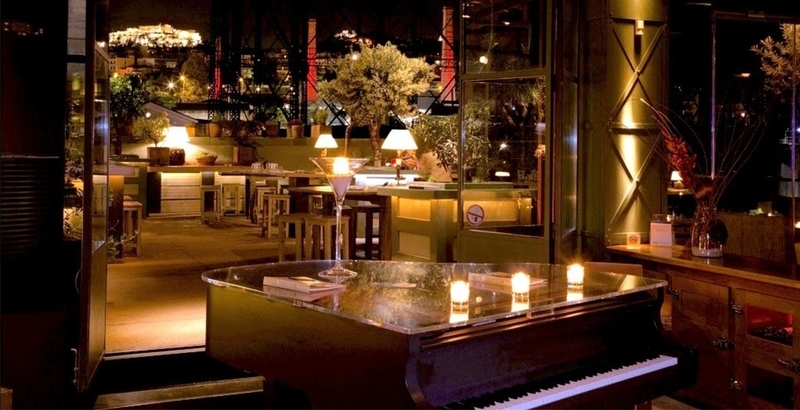 At Gazarte visitors can experience anything from a jazz night performance featuring an international artist to a live act by a Greek band. Stay up to date with the cultural program and events here. For a romantic evening of fine-dining and avant-garde Greek cuisine, reserve a table at the two Michelin-starred Funky Gourmet restaurant, which tops the list of the best restaurants in Greece. For an elevated dining experience — how about Dinner in the Sky? 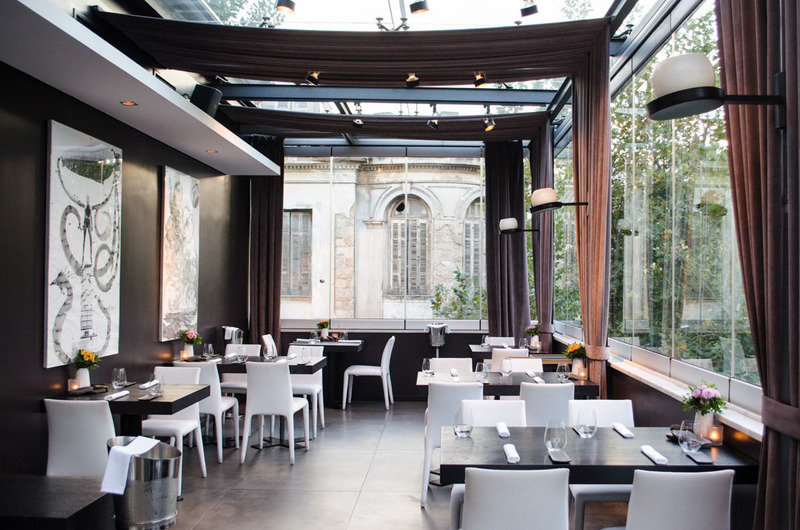 One of the world’s top rated food experiences is available in Athens too. 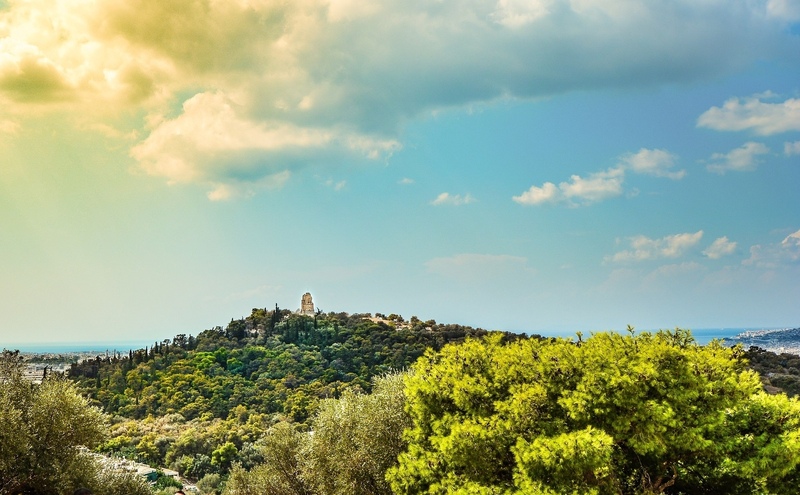 For one of the most breathtaking views of Athens we recommend that you spend your afternoon exploring Mount Lycabettus. Head there just before the sunset and watch the magic unfold before your eyes. You can either enjoy a rewarding hike-up or, for a more relaxed option, take the Lycabettus Funicular. At the top you will find a little whitewashed chapel of Agios Georgios (St. George) and a café-restaurant where you can sit back, relax and soak up the views. 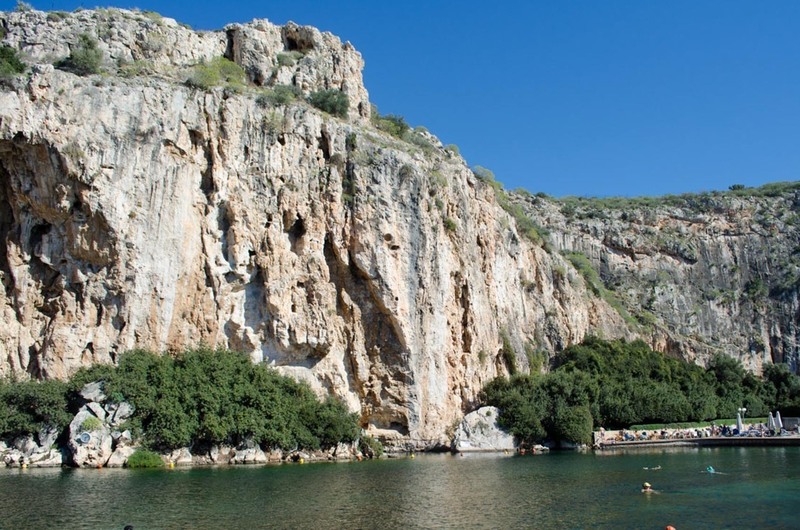 The warm waters of Lake Vouliagmeni make it a perfect place to relax and unwind at any time of year. Set in the heart of the renowned Athenian Riviera, this impressive geological phenomenon offers a unique thermal experience. In the evening the lake is beautifully lit, making it an ideal spot to enjoy a romantic evening in one of the most beautiful rivieras in the world. There is an onsite, all-day bar-restaurant serving unique Mediterranean flavors. After spending a relaxing day at Lake Vouliagmeni, how about an ice cream stop at one of Vouliagmeni’s oldest pastry shops — Aqua Marina? We recommend that you try their Chicago ice cream. Another popular place just down the street is Waffle House, also known for their excellent ice cream menu and delicious waffles. For a memorable seaside dining experience head over to Piraeus, the famous port town of Athens offering a plethora of waterfront restaurants and smaller family-run tavernas. 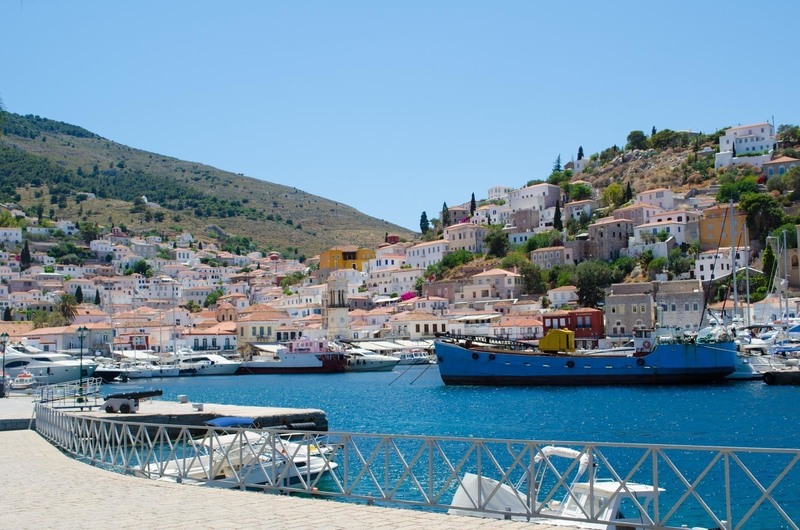 Take a stroll along Mikrolimano, a picturesque harbor and enjoy a wonderful meal in one of the traditional fish tavernas serving fresh seafood delights. For a fine-dining experience opt for the Michelin-starred Varoulko Seaside, one of Athens’ most famous restaurants. 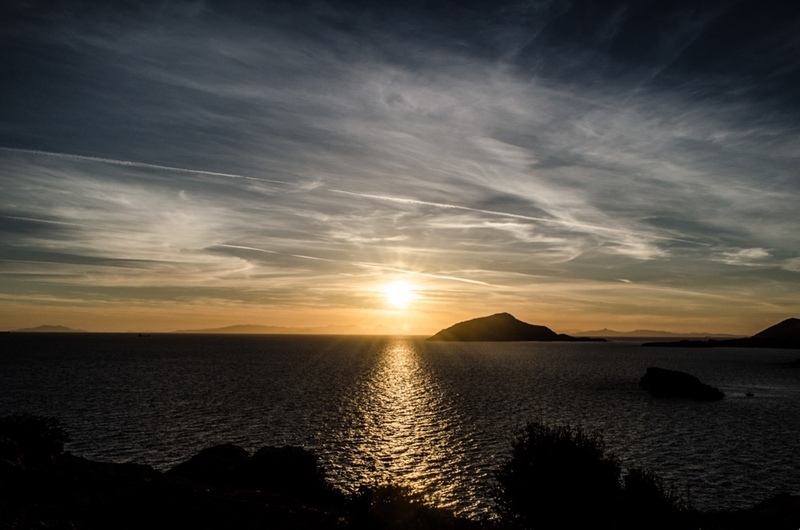 One of the most romantic things to do in Athens is to take a trip along the coastal road which connect the seaside towns of the Athenian Riviera with Cape Sounio — the southernmost tip of the Attica region. The Temple of Poseidon has been voted as one of the most romantic spots to watch the sunset envelop the Temple's centuries-old columns with the contrasting shades of yellow, orange and mauve. Couples visiting Athens during the warmer months of the year can enjoy a relaxing day soaking in the sun at one of the popular beach resorts of the Athenian Riviera. The southern suburbs of the Attica region are dotted with sandy beaches and rocky coves, some of which have been awarded with a Blue Flag. There are also a few hidden gems and lesser-known beaches. 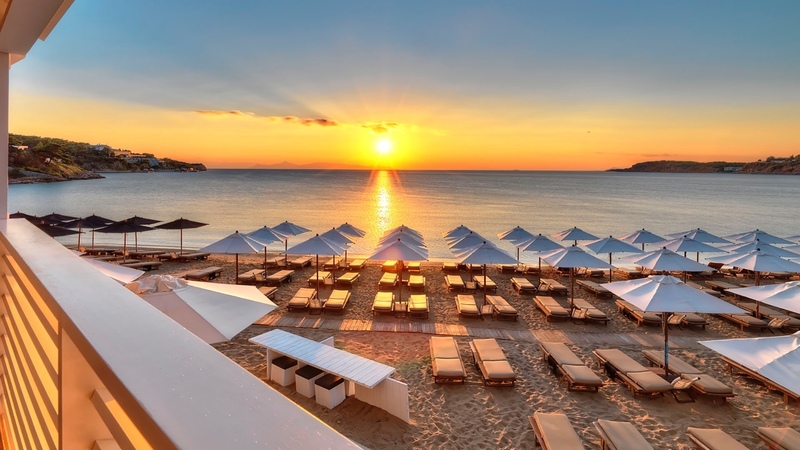 The most popular beach of the Athenian Riviera is the Astir Beach which offers an ultimate all-day seaside experience and features a separate Platinum Lounge for a more luxurious and private beach getaway. For a more-relaxed environment head to Vouliagmeni Beach which offers a 650 meter stretch of sandy beach, combining the sea, the city centre of Vouliagmeni and numerous dining options within a walking distance from the beach. 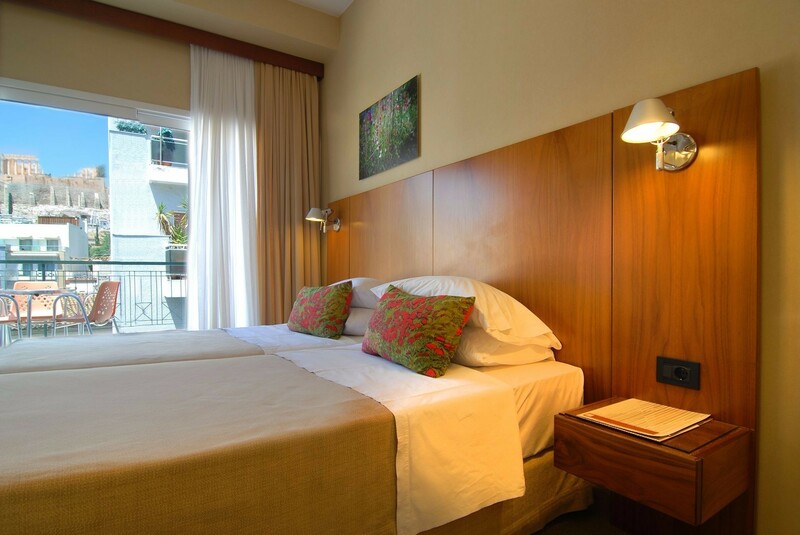 To experience an ultimate Athens romantic getaway take advantage of Philippos hotel’s exclusive Romantic Couple’s Getaway package. 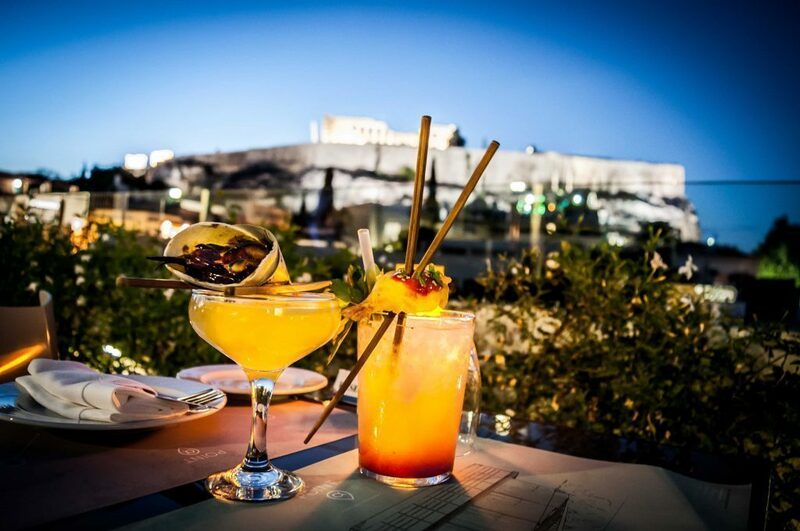 Couples will be treated with a romantic dinner for two at the renowned rooftop restaurant POINT a offering majestic views of the illuminated Parthenon and Acropolis Museum. 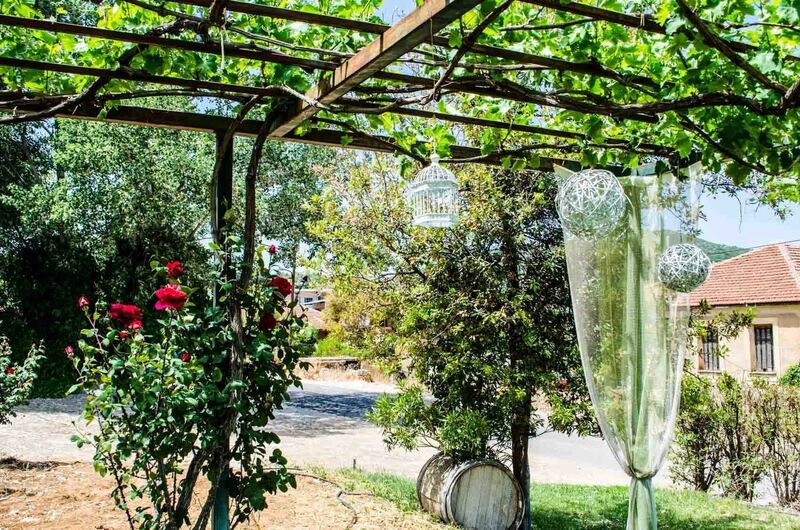 That’s not all, you will also receive a bottle of sparkling wine and a basket with fresh fruits upon arrival, a 10 % discount on any massage treatment at our sister property the Herodion hotel. Sounds wonderful, doesn’t it? Go ahead and plan your dream escape here. Join us for your ultimate romantic escape in Athens. Have you been to Athens before?